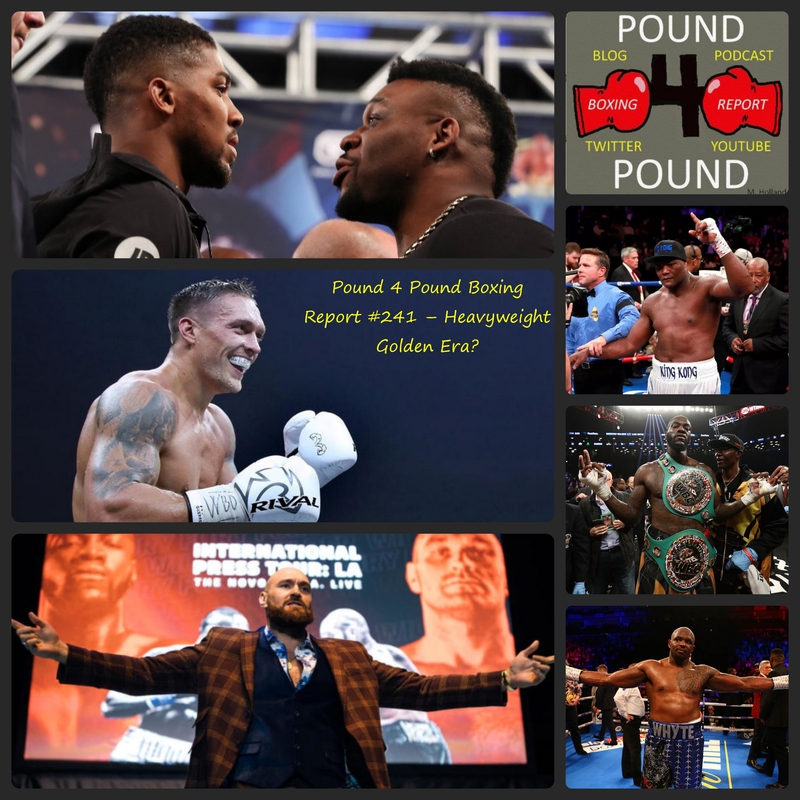 Pound 4 Pound Boxing Report #241 – Heavyweight Golden Era? Our reaction to the Anthony Joshua – “Big Baby” Miller press conference. Tyson Fury signs a promotional deal with Top Rank. Deontay Wilder declares he’s a free agent. Are we living in Heavyweight golden era? Vasiliy Lomachenko to fight Anthony Crolla on April 12th. James DeGale vs. Chris Eubank Jr. Pound 4 Pound Boxing Report #240 – Shocker in Indio!!! According to sources, Anthon Joshua to fight “Big Baby” Miller June 1 at MSG. Pound 4 Pound Boxing Report #239 – The Resurgence of the “Krusher”? Dillian Whyte or Jarrell Miller… who will Anthony Joshua fight next?